On Sunday, Dec. 15, we spoke with Irene Chia. Irene is the founder of Whitespace Management Consulting, an extension of her 20 years of experience in organizational development and general management. Irene has a background in economics, but instead of going into the banking industry, she was more interested in how the economy is affected by the way people think and act. This focus inspired her to further pursue the study of human behavior, ultimately leading her to become a strengths coach. Connectedness is Irene’s top strength, so she tries to bring aspects from her own life into her coaching to better connect with her clients. A great activity that Irene incorporates into her coaching practice is her painting hobby. In a recent coaching session, she had a team paint their vision of future success on a canvas so they could bring it back to their office for everyday display. She also incorporated cooking into a session with clients who love to cook. They were given a recipe, a budget, and a certain amount of time. After the exercise, Irene facilitated a conversation about how they leveraged each other’s strengths to successfully create the dish. Irene touches on the idea that, although coaching larger teams means bringing strengths to a wider audience, it isn’t necessarily better. She says that smaller groups leave more room for conversation and dialogue, something that is important in her coaching. It allows individuals more time to talk about their strengths with their teammates. Join us for the next Called to Coach on Friday, Dec. 20, at 1 p.m. EST, when we will host Gallup’s own Jacque Merritt. Register now for free! Continue the coaching conversation at the Called to Coach Facebook page. 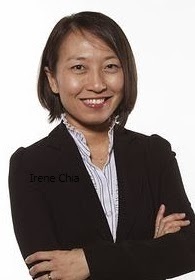 Irene is one of the first Gallup-Certified Strengths Coaches in Singapore. She provides both group and one-on-one coaching for managers and individual contributors. You may contact Irene through the following website: http://www.whitespace.com.sg/ or through LinkedIn.